Born in England on 25 January 1850, he came to Canada in 1879, living first in Ontario. He later came to Manitoba, living for a time at Emerson before moving to Winnipeg where he established a retail drug firm, Flexon and Company, and operated a drug store in the Clarendon Hotel. 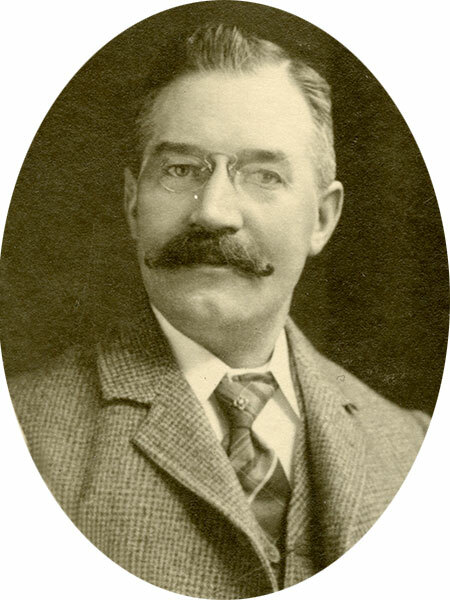 He was President of the Manitoba Pharmaceutical Association around 1899 and, at the time of his death, he was the dean of the Manitoba College of Pharmacy. He was married twice, first to Jennie Taylor (1852-1901) and second on 26 January 1903 to Mrs. Mary Marrin. With his first wife, he had two children: Ella May Flexon (b 1877, wife of Arthur S. Mathias) and Clarence Cull Flexon (1883-1907). He was a founding member of the Winnipeg Golf Club and was a keen cricket player. He died at his Winnipeg home, 223 Donald Street, on 11 September 1905 and was buried in the St. James Cemetery. “Flexon – Marrin,” Winnipeg Tribune, 29 January 1903, page 3. “Death comes to Chas. W. Flexon,” Manitoba Free Press, 13 September 1905, page 10. Obituary, Winnipeg Tribune, 15 September 1905, page 5. “Drowned in the Red River,” Winnipeg Tribune, 17 June 1907, page 4.